Brand Emersion - Health Profiles is a live branding experience that provides a promotional opportunity to promote good health and positive living. Health Profiles is a complete ten minute health screening designed for expo guests. 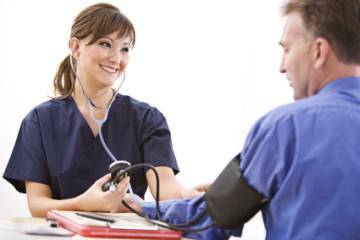 Guest Experience - Health screenings check and measure cholesterol, glucose and blood pressure. Your company’s banner will span this booth. Drive foot traffic to your booth, all event guests are given a “Passport To Health” card at registration, complete with advertiser’s name, brand message and booth number. To qualify for a health screening the “Health Passport” must be brought to the advertiser’s booth to be validated.